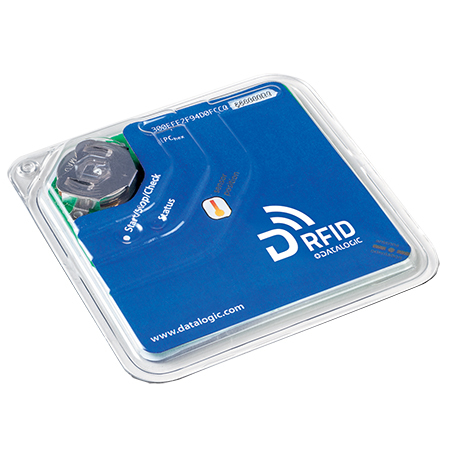 Datalogic is pleased to introduce the DLR-TL001 RFID Temperature Logger. The DLR-TL001 logger is a low cost, semi-passive UHF logger tag used to monitor temperature sensitive products such as perishable foods and pharmaceuticals during transportation and storage. The combination of the high resolution sensor, the large memory size and the standard RFID interface allows perishable items to be effectively tracked and traced during transportation and delivery. The DLR-TL001 logger can be used with standard UHF RFID readers available on the market without requiring any additional equipment due to its compatibility with the EPC Global C1G2 and ISO18000-6C standards. The tag can be configured to store temperature samples in intervals from 1 second to 18 hours in the internal memory, which can contain up to 3,958 samples. The user can define up to 16 temperature ranges with independent threshold alarms for very accurate control of the temperature excursions. The tag can be controlled either by using a button or via standard RFID commands.